Hear Technologies’ Hear Back OCTO Four Pack is an all-inclusive, ready-to-go personal mixing bundle. 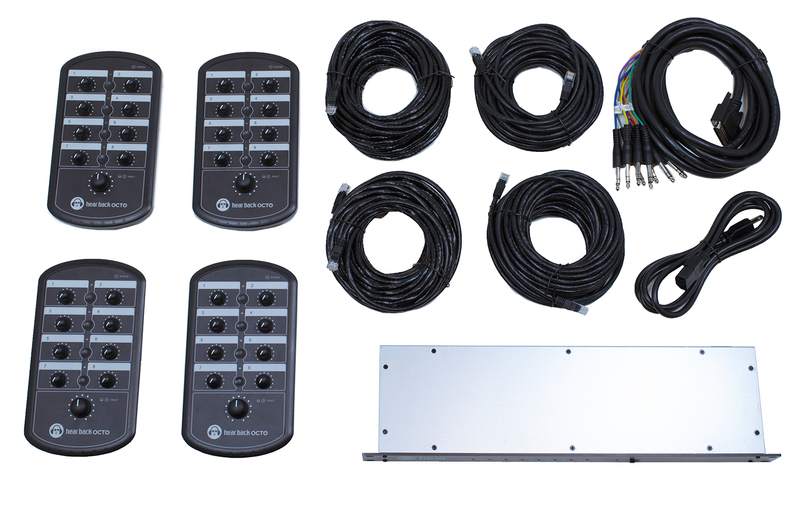 Four mixers, one hub and all necessary cabling are included to get you set up at your studio or gig as quickly as possible right out of the box. 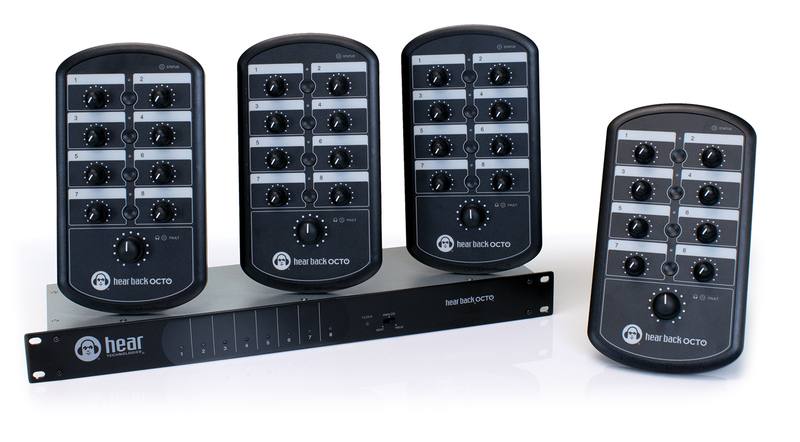 The Hear Back OCTO Hub feeds all four mixers, and also features enough power to link an additional four - sold separately. Every mixer supplies each user with up to 8 input channels to monitor. With Hear Technologies’ OCTO daisy-chaining functionality, each system can be expanded to an almost limitless scale! For good measure, Hear Technologies also include a branded mixer bag to get your new system to sessions or gigs in optimally safe conditions.